These lovely vine pattern brackets will look good as the base for a wall shelf or as the decorations for an entry way. 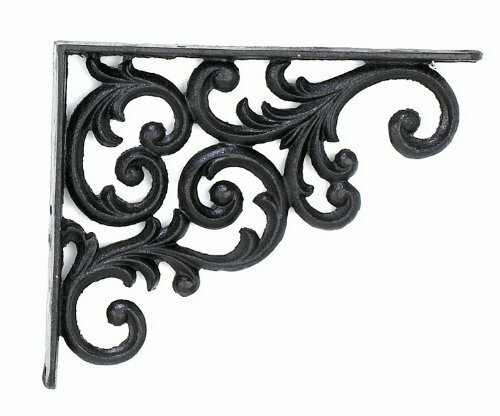 Solid cast iron construction and antique finish give them a classic look. Perfect for office, entry, kitchen, patio, garden, bedroom, dinning room, bathroom, or just about anywhere in the house.